At Mills, the month of April is designated as SAMEAPI Heritage Month. SAMEAPI stands for South Asian Middle Eastern Asian Pacific Islander (SAMEAPI) heritage month. This month’s events were planned by the SAMEAPI committee, which consisted of members from the Muslim Student Alliance, Asian Pacific Islander Student Alliance, Mandarin Club, Ethnic Studies Department, the Center, and the Associated Students of Mills College. There are eight events planned for this month, four of which have already occurred. Of the four that remain, there are three events and one faculty/staff dinner. On Wednesday, April 18, San Jose State professor Yvonne Kwan will speak on generational trauma alongside artist Amy Lee Sanford whose work revolves around trauma and healing. On Tuesday, April 24, staff from Mills’ Counseling and Psychological Services (CAPS) will lead an event titled ‘Mental Health + API.’ The last event of the month will be held in the Student Union: Bay Area Arab music ensemble ASWAT will perform folkloric, classical, and contemporary Arab music. Interested? 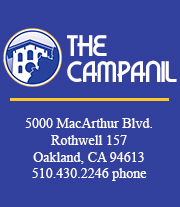 Take a look at The Campanil’s coverage last year for more details. If you are interested in the faculty/staff dinner or attending the API grad ceremony, please contact the Asian Pacific Islander Student Alliance club president, Irena Huang. At the SAMEAPI Heritage Dinner on April 11, Huang spoke briefly to address concerns about the title of this month on the fliers around campus — SAMEAPI 365, saying that it was not intended to co-opt the Black 365 movement, simply to show that while a lot of events that represent the SAMEAPI community are held in April, the community and events exist all year round. She also wrote later concerning the issue. Look for signs around campus about upcoming events, or take a look at the SAMEAPI book display in the library.